When you purchase an SSD, you’re purchasing a drive that will store all of your valuable information. Whether that’s confidential business data, treasured family photos, or projects you’ve been working on for years, your data is only as reliable as the drive it’s stored on. 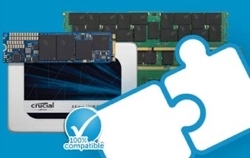 Crucial SSDs are designed and developed by Micron, one of the largest NAND manufacturers in the world. This means four things: hundreds of SSD qualification tests, over a thousand hours of prerelease validation testing, billions of dollars invested in R&D, and more than 35 years of industry expertise. Because we're part of Micron, a worldwide leader in NAND design and development, we're able to provide an incredible advantage to our customers: end-to-end quality assurance. From prerelease validation testing to ensure that our SSDs work with the broadest range of chipsets, motherboards, and operating systems to the more than one thousand hours of endurance testing that we put them through, our drives are tested for reliability from start to finish. With one of the industry's most stringent ongoing reliability test programs, we're able to ensure that all of our future units maintain optimal quality. From our consistent ranking as a top ten US patent registrant to our 20nm NAND that won UBM TechInsight's 2011 Semiconductor of the Year Award, Micron is a world leader in NAND flash design and development. Our flash leadership provides great foundational components for our SSDs, but more importantly, it gives our engineers in-depth insight into the latest methods for getting the best performance, endurance, and reliability out of our NAND. 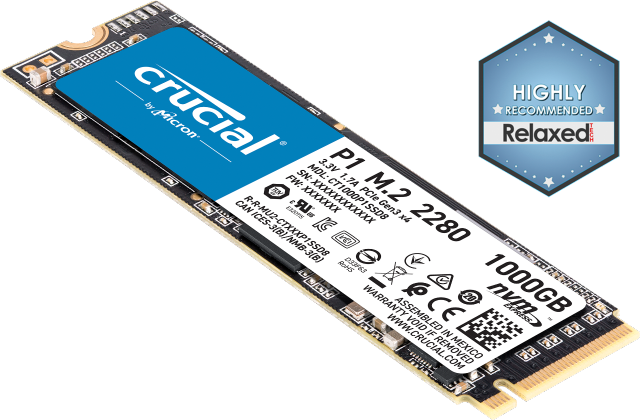 Crucial SSDs are built with custom firmware and our own cutting-edge NAND technology that we've optimized to work with the controller. For more than 30 years, our team has developed, designed, and refined some of the world's most advanced DRAM and NAND technologies. With billions of dollars invested since 2009 on developing new technologies and manufacturing processes, we're here to stay. Over the course of the memory industry’s history, the 40 original manufacturers have dwindled to just a handful. We're one of them. We've weathered the storms and we've leveraged our capital advantage to grow even in tough times. Our extensive customer support teams have won awards all over the world for their knowledge, friendliness, and ability to explain advanced computer and SSD concepts in everyday terms. Our support teams understand our products inside and out and are constantly engaged in the latest technical training. From phone support, instructional videos, FAQ articles, and do-it-yourself guides, we've got the resources you need to maximize your Crucial SSD and keep your system up to speed. What's more, the team serving you is the proud winner of a 2012 Stevie® Award for Customer Service Department of the Year. In addition to nearly instant load and boot times, terabyte-class capacities, and performance-enhancing features such as best-in-class hardware encryption, adaptive thermal protection, and more, a Crucial SSD transforms nearly every aspect of your system’s performance. When you order direct on Crucial.com, take advantage of additional benefits that aren’t available elsewhere.